PRODUCT DESCRIPTION: Trap which uses semio-chemicals which mimic the scent of human skin. This scent cannot be ignored by bed bugs. 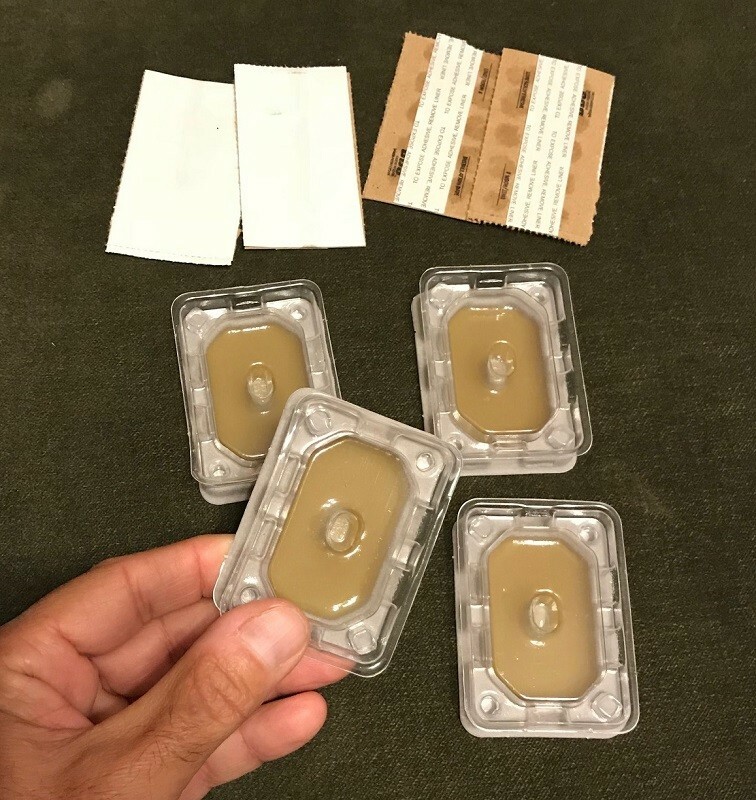 Each pack includes 4 traps and 4 double stick glue pads so the traps can be mounted up in cabinets, dressers, etc. Once bedbugs enter the trap, they'll get stuck on the glue and cannot escape. 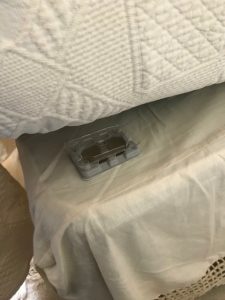 Excellent device to install in between the top mattress and the box spring below to ensure bed bugs aren't actively nesting or moving up onto your bed. WHERE TO USE IT: Originally designed to be used under the top mattress, plan on using 4 traps per bed (one under each corner). Throughout the rest of the room you can install them behind curtain rods, on window sills, in closets, behind the bed head board, under furniture like a night table, in dresser drawers and along baseboards. RATE OF APPLICATION: Use as many traps as desired. The glue will remain active for at least 6 months and the pheromone odor will be active this up to 6 months. Plan on replacing traps twice a year for ongoing maintenance. When traveling, use them in any room you stay in. When you leave, store the traps in a sealed zip lock bag and they'll keep for up to one year.